User experience (UX) means the overall experience a user has when using a product. To create good user experience a product has to be easy to use, fit users’ expectations and meet their goals. Many things affect on UX. Usability of the product is one of them. 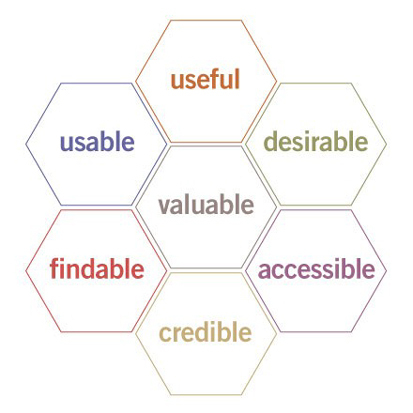 Peter Morville has visualized UX nicely with a honeycomb that shows the different facets of the user experience. Good UX does not happen by itself – you need to apply user-centered design (UCD). You’ll learn all about it by watching this great 3-minute user-centered design video by John Boykin. Go ahead, it’s great fun and there’s a cat, too! 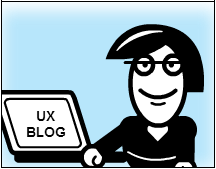 I’ll be sharing my thoughts about UX, usability and related stuff in my blog. I often derive these thoughts from psychology, and even more often spice them up with fun cartoon.